Two days ago, the official NBA 2K17 MyTeam Twitter account posted an announcement of NBA 2K17 Playmakers Pack release date. 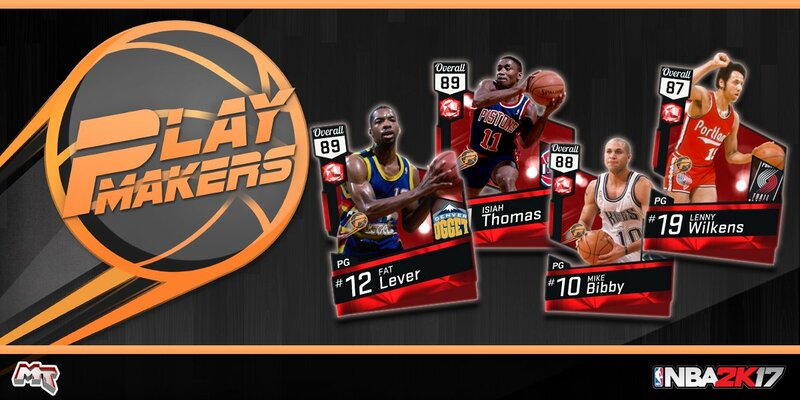 "Featuring some of the NBA's best-ever floor generals, the new #Playmakers pack drops TUESDAY in #MyTEAM!" they said. The unveiling process of Playmakers Pack is same to the Big Men Pack's. The announcement asked for 400 Retweets before it began to unveil the collection. 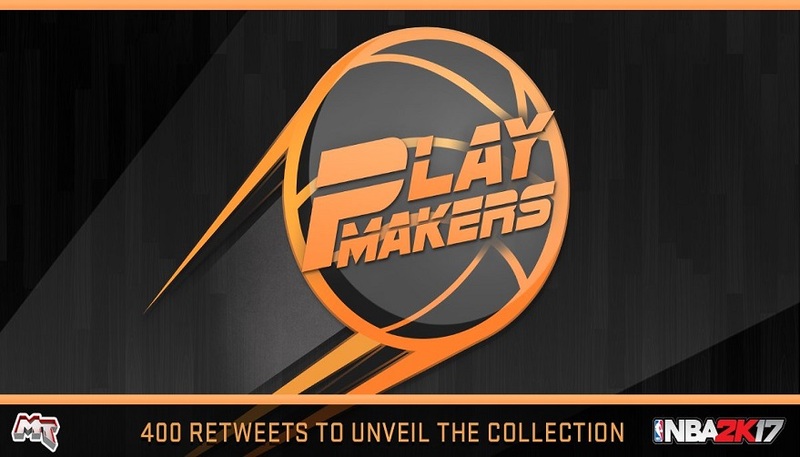 After a bit while, those 400 Retweets were accomplished and the first set of Playmakers Pack Sapphire Cards were revealed. 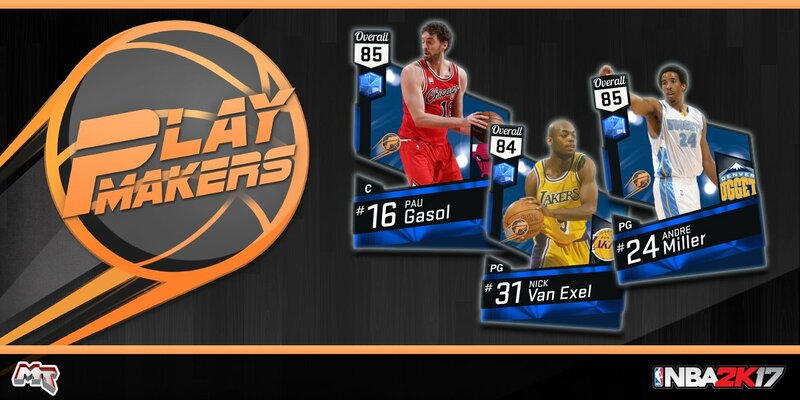 The three Sapphire player cards included are Pau Gasol with an overall player rating of 85, Nick Van Exel with an overall player rating of 84, and Andre Miller with an overall player rating of 85. There will be four Ruby player cards that is included in the NBA 2K17 Playmakers Pack. They are Fat Lever with an overall player rating of 89, Isiah Thomas with an overall player rating of 89, Mike Bibby with an overall player rating of 88, and Lenny Wilkens with an overall player rating of 87. 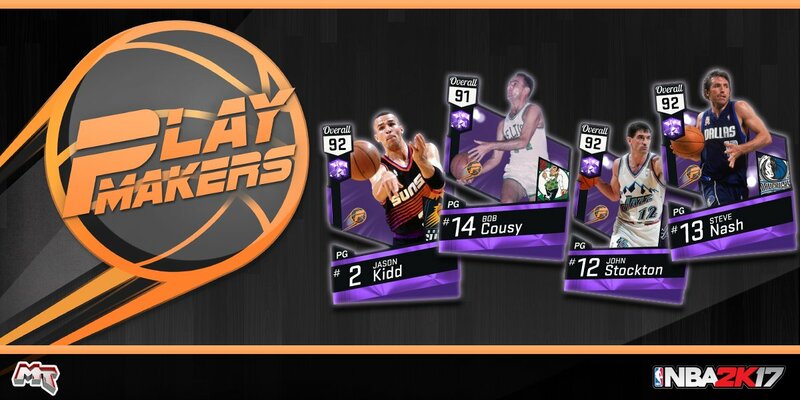 There will be four Amethyst player cards that would be included in the NBA 2K17 Playmakers Pack and they are Jason Kidd with an overall player rating of 92, Bob Cousy with an overall player rating of 91, John Stockon with an overall player rating of 92, and Steve Nash with an overall player rating of 92. 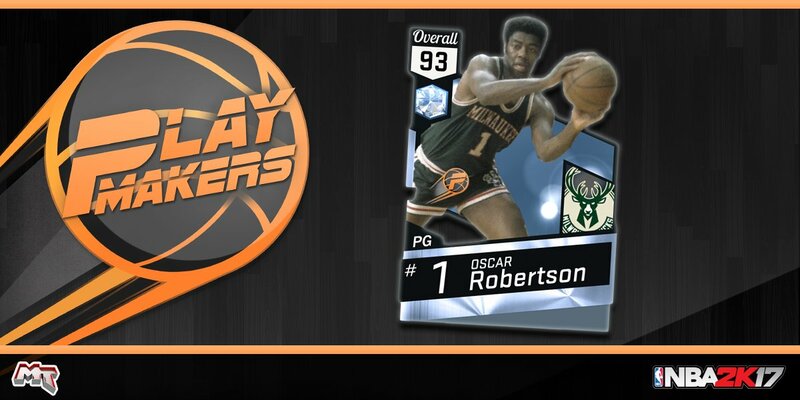 A Diamond player card Oscar Robertson with an overall player rating of 93 was also revealed. 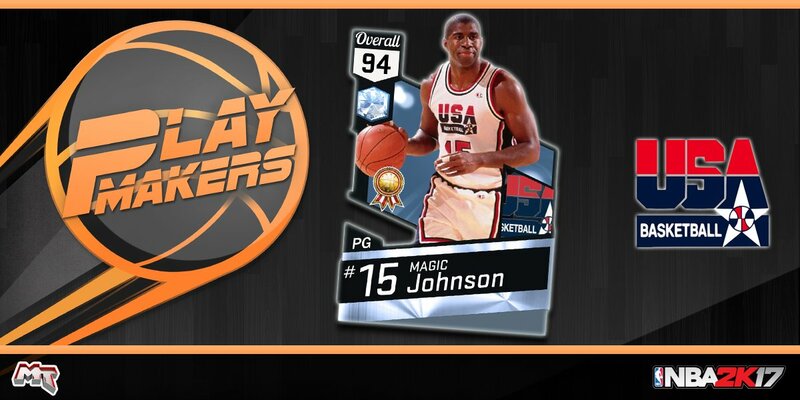 After this Magic Johnson from Team USA with an overall player rating of 94 has been released as a Playmakers Collection reward. Most of the player cards released are Point Guards and all of they have incredible high ratings. These cards are now available in MyTeam. Have you added the Playmakers pack to your collection? The pack may be a game changer and you worth it especially the last two Diamond cards as they are the best guards that ever played the game.